Gender-inclusive, feminist, pro-immigrant rights organization to promote healing, healthy relationships, and economic independence through the arts. At Justice for My Sister Collective (JFMS), we are passionate about increasing visibility and job accessibility for underrepresented, low-income local filmmakers (ages 13 - 30), particularly women of color, LGBTQAI+, former foster youth, and survivors of gender-based violence. Our mission is to train low-income, underrepresented young adults (13 - 30) in filmmaking and TV writing to transform the film & TV industry by way of job access, skill-training, mentorships, and media literacy. We aim to uplift aspiring filmmakers with a culturally-relevant and trauma-informed approach to tell stories through a gender equality and racial justice lens. In light of the #MeToo and #TimesUp Movements, it's evident now more than ever that the work we've been doing since 2011 is desperately needed, so that Hollywood's messaging and work culture are representative of our values as a society. The Justice for my Sister Collective is a gender-inclusive, feminist, pro­-immigrant rights organization. We currently have two chapters: in Los Angeles, California and Guatemala City. We work towards gender equality, healthy masculinity and racial inclusion by using storytelling, video production, charlas, testimonios, theater of the oppressed, art therapy, and other activities to provide communities with tools to identify violence and create healthy relationships. Through filmmaking and youth leadership, our students imagine and portray the world we wish to live in, marked by gender equality and free of violence. The Justice for My Sister Collective was founded in Guatemala in 2011 by survivors of sexual assault and domestic violence to accompany community tours of the award-winning documentary of the same name. Using a train-the-trainer model and the film as an educational tool, Collective members traveled nationwide to train audiences in violence prevention using theater, storytelling, and art therapy. In 2015, JFMS obtained nonprofit status as a project of Community Partners in Los Angeles. 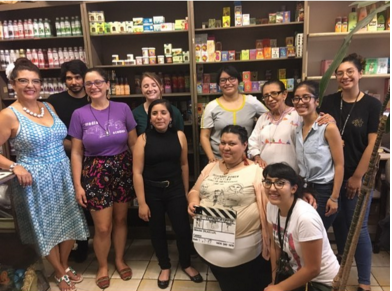 Shortly after, we launched Nuevas Novelas Filmmaking Program in Guatemala to train 25 young aspiring filmmakers in short film production through a yearlong program. JFMS has since expanded its curriculum to include media literacy training, economic sustainability for artists, and job training. We have trained 120 former and current foster youth through a partnership with PBS SoCal’s To Foster Change Initiative. In the past two years, cohorts of eight foster youth were selected to produce their own Video Diary, which went on to be broadcast on PBS SoCal. 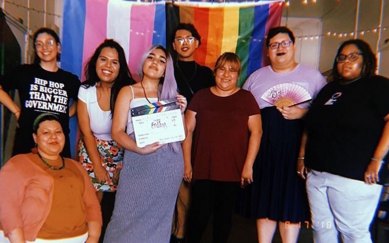 Through our youth filmmaking summer bootcamp Nuevas Novelas, 4 cohorts of 70 young women and gender non-binary youth total (ages 13 - 25) have collectively produced 15 short films, one of which won an Imagen Award in 2018 for Best Student Film! JFMS has provided referrals to over 200 women, girls and gender nonconforming individuals to service providers in Los Angeles and Ventura Counties. Over 5,000 people in Southern California have attended JFMS events, and over 10,000 in Guatemala. Our work has been featured by NPR, MSNBC, the Commission of the Status of Women at the United Nations Headquarters, and through several Embassies and universities as case studies of best practices to promote community-building through the arts to prevent gender-based violence. To make our work possible, donate here!